Many folks take adult music lessons because they’re retired and have more time on their hands. That’s a great reason, but you don’t need all the time in the world to invest in something that’s just so good for you. 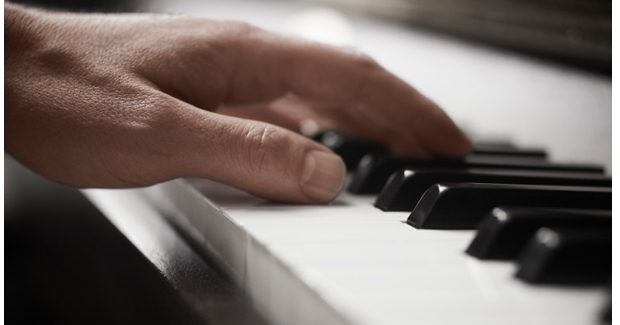 For your consideration, here are eight great reasons to take adult music lessons. 1. You don’t have to. You’re an adult, no longer subject to the tyranny of mom and dad. No one is mandating you take music lessons, and no one is forbidding you, either. Playing music is fun. If it ever stops being fun, you can stop taking lessons. And you won’t get grounded. 2. You can play what you want, when you want. Saxophone, banjo, keytar– the possibilities are endless! Our lives are restricted by circumstances, but one of the great joys of being an adult is having the freedom to make our own decisions. There’s no band teacher forcing you to play clarinet because the saxophone spots are full. There’s no family pressure to play french horn like cousin Becky. Your goals are yours and yours alone. Would you like to learn basic technique? Play your favorite song? Study a classical or jazz approach? As a child, Jay Dembsky lost interest in the piano lessons his mother required. Now as a piano student in his fifties, he plays The Eagles and Elton John. “One of my goals is just to enjoy playing,” Jay said. 3. It helps to be retired, but it’s not required. 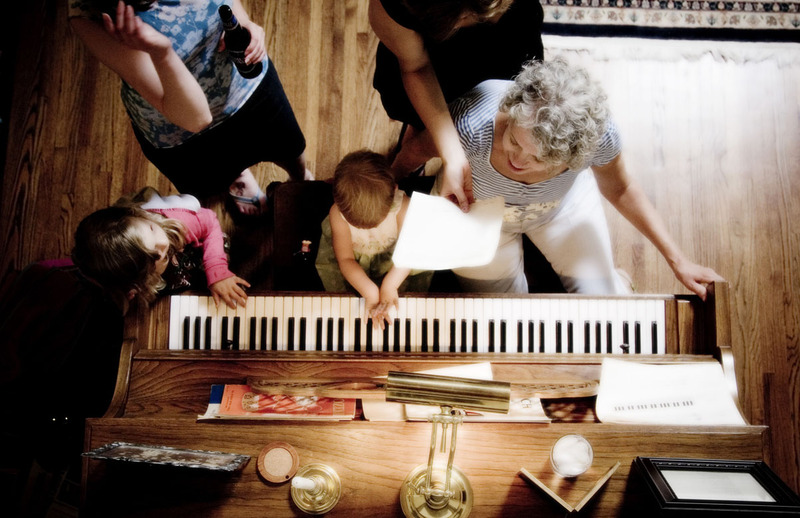 Retirees or empty-nesters may find themselves with plenty of extra time for music lessons. But even those of us swamped with children and and/or work can probably carve out 10 or 20 minutes daily for practice. Embrace the chaos. Take lessons anyway. The key to making time? You have to really want it. What’s motivating you? Really figure it out. Write it on a piece of paper and hang it over your piano. Will that motivation carry you through those nights you’d really prefer to binge-watch Better Call Saul? 4. You can teach an old dog new tricks. Your brain may be an old dog, but that old dog still needs exercise! Music lessons keep your brain feeling like this. Kids’ brains may be sponges that make learning new things like languages–including music–a piece of cake. 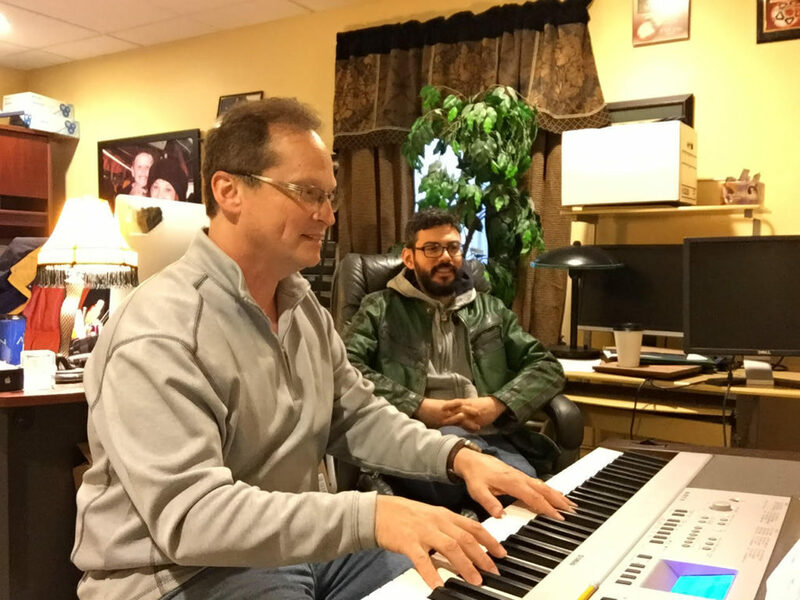 But piano teacher Andrew Lawrence finds adult students better at processing complex concepts, and a New York oboist observes that adults often have a greater capacity for self-diagnosis and problem-solving. 5. You can de-stress, if you let yourself. We humans– children and adults alike– can be hard on ourselves. When you can’t immediately play that Beethoven sonata like your teacher, it’s easy to beat yourself up and lose perspective. Remember that learning a new skill is hard and time-consuming. But the more you practice and sharpen those skills, the more fun you’ll have playing. 6. You won’t get in trouble if you don’t practice. And your teacher will probably appreciate your honesty. She exists only in your dreams! “I love that my adult students tend to be more open with me about whether or not they practice, have nerves, or have interest in a certain song,” piano teacher Leah Rockweit said. On the other hand, practice is necessary for all ages. Don’t abuse your “I’m gonna be honest” pass. If you find yourself skipping practice, get back on the horse. 7. You can make new friends– if you want. Group music lessons are a great way to meet like-minded musical newbies. But even private music lessons can open doors to new friendship with teachers, or with other students you may meet at recitals. On the other hand, music practice is a great way to escape into solo creative bliss. Desert and cowboy hat are optional. 8. You’ll set a good example for your kids. And not just the ones who are also taking music lessons. It’s a consensus: you’re the best. It’s healthy for kids to see their parents taking on new challenges and working toward a goal. They’ll witness first-hand that skills don’t come knocking on our door, that they require consistency and practice. Adults may lose touch with how new the world is to a child. How enlightening to be on the same level as our kids, and to put ourselves in the “growing” position for a change. Reconsider if you won’t have at least 20 minutes a day to practice. Don’t set yourself up for disappointment. 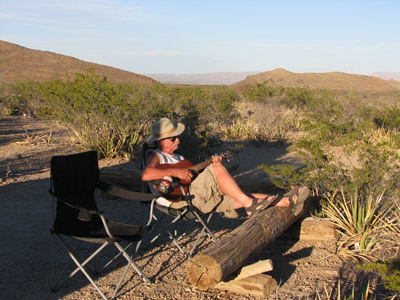 Find a musician, a band, a song– anything that motivates you to practice. Listen broadly and frequently. Be inspired! Keep your instrument visible and at-the-ready. (Out of sight, out of mind!) If you have one piano in the basement, consider purchasing a portable keyboard to keep in your most lived-in room. 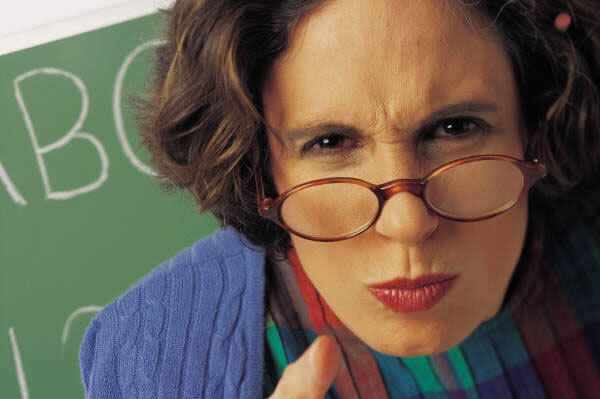 Don’t settle on a so-so teacher. Work with someone you will look forward to seeing regularly, whom you connect with, and who understands your goals. Like life, learning a new instrument is a constant cycle of work, fun, frustration, and joy. Jump right in! 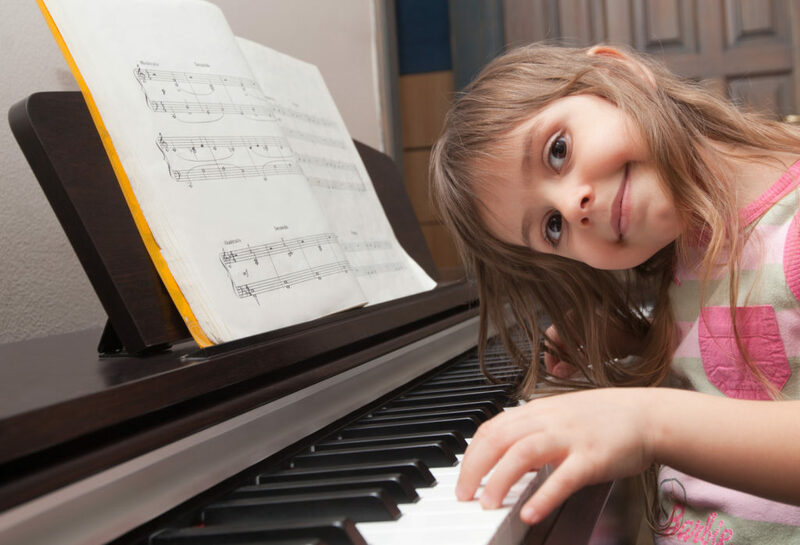 Find out why taking music lessons with your kids is awesome, or peruse our roster of excellent teachers. Special thanks to Debby Dubow, Michelle Hirsch, Jay Dembsky, Jonathan Messinger, Emily Volz, Leah Rockweit, and Andrew Lawrence for contributing to this article.